A scuba dive instructor is a unique calling. The skills required for gaining a dive instructor qualification are relatively straightforward, and when you take a quality course with an approved provider, easy to master. 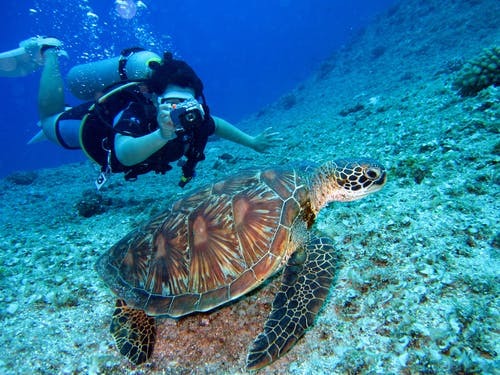 However, it is the soft skills needed that make the difference between a good and a great scuba diving instructor. 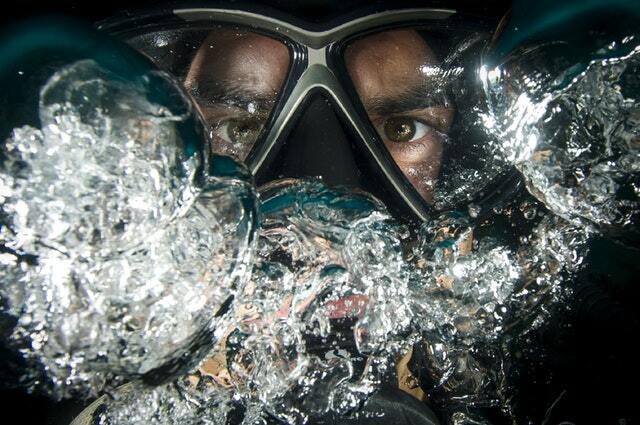 It is absolutely essential that a dive instructor can remain calm under pressure. Emergency response and first aid are a vital part of a dive instructors assigned duty. If you cannot keep calm under pressure, it’s impossible to respond to an emergency effectively. Fortunately dealing with stress is part of the training required for a dive instructor. A good instructor needs excellent planning skills. Your trainees will not have enough knowledge or skills to plan themselves yet, so you must think for the group while still allowing them to learn. Part of planning is developing a routine to ensure everyone takes part to foster learning while still monitoring all activities. The instructor is the master planner and must coordinate all activities in harmony. Monitoring is a mundane but incredibly essential part of a dive instructors job, and developing the skill effectively is the difference between safety and disaster. After all the planning and preparation is complete, during practical exercises, the dive instructor must be continually monitoring their students to check for any signs of trouble. As an instructor, you are solely responsible for your students’ safety. Monitoring the status of all your charges at all times is vital to the responsibility you have been bestowed. A great scuba diving instructor constantly monitors their own and their students’ condition and air, the environmental conditions, and their location. A vital part of being an instructor in a practical and safety-critical arena such as diving is the ability to deal with people. A diving instructor may be offering recreational courses for hobby divers, where it is vital that you strike a balance between effective learning and enjoyment. Safety cannot be compromised, so safety items need to be impressed upon clients in ways that they are retained, however, the training still needs to be fun. Another element of people skills that is important is dealing with trainees who may suddenly panic, or develop performance anxiety in some aspect of their learning. Knowing how to calm and motivate these students is important. A dive instructor requires peak physical and mental fitness to carry out their job. This is something you need to learn to self-assess every day on the job. Commercial pressure internally and externally may make you feel like you have to work, but if you are not well for any reason, you won’t be able to fulfill all the commitments of the job. In this situation, you need to have the guts to say – I should not be teaching today. If you are considering a career as a dive instructor but are worried about whether you have the right skills, do not fear. 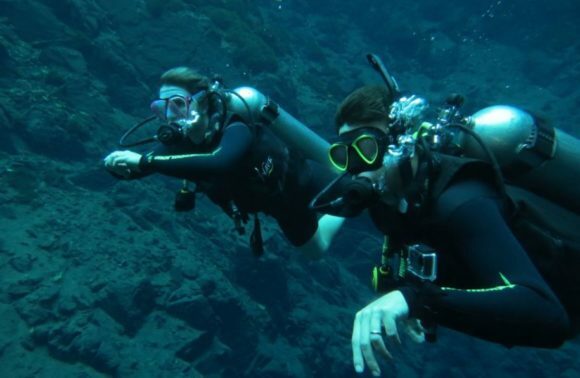 A quality dive instructor course, such as the one provided at Halls, includes training on these essential soft skills as well as the practical side of diving. Your course instructors will share techniques, attitudes, and personal experiences, while navigating you through a curriculum designed to build your all-around ability to be a quality instructor, rather than just someone who happens to teach.